I am a Boeing trained draftsman. At Boeing we had the ADCN (Advanced Drawing Change Notice) this was by far the most productive engineering change document ever devised. When you are building airplanes, you are on a schedule and must keep the assembly line moving. Due to the nature of the beast, airplanes have different customers with different configurations. This opens the door to mistakes. Any errors in design must be handled quickly and efficiently. Boeing devised the ADCN to handle this problem. In the past Boeing would build a Mock-up. This was a full scale model of the airplane. Where any problems were worked out prior to starting the assembly line. With the entry of 3D CAD Boeing went to the virtual computer airplane with the 777. No more mockups! 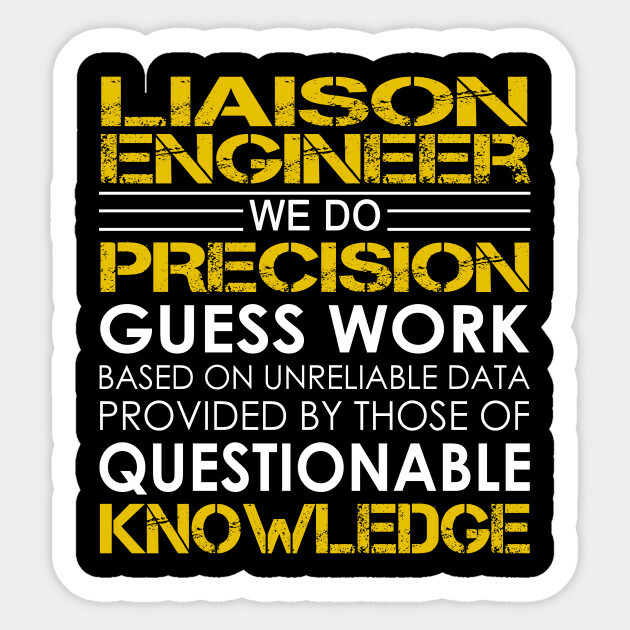 We draftsmen chuckled when they started making model verification assemblies. A rose is a rose by any other name. So, today we have the 787 totally driven by Catia 5 PLM/MBE/PMI. No mockups! What did Boeing end up with? I think the first 12 did not meet the original specs and could not be delivered to the customer. The first two are not even flying and are donated somewhere. We had an ongoing joke in one conversation of buying them and turning them into 787 "DreamDiners". So you can add those 12 or so airplanes to the failure of PLM/MBE/PMI! But it is still going on. This dysfunctional system is still costing Boeing millions, if not billions of dollars. Let’s look how an error is found. On the Boeing assembly floor, there are specialty engineers called liaison engineers. It is pronounced L”eye”ison in the aircraft industry (except maybe in France). They are called to a situation when something cannot be installed. Now, it is not always a problem with the engineering, it could be a problem with planning. The liaison engineers purpose is to solve the problem temporarily by writing and drawing up a rejection tag noting the change. This is part of the airplanes history. Remember, we must assume the next plane may have the same problem. So the faster we can get this change permanently implemented, the better. The rejection tag is delivered to the responsible engineering group, such as structures, flight deck, payloads, wing, etc. In the past, it was given to a draftsman to research. They would come up with a solution and prepare the documentation. The ADCN was the preferred document. It was done on one or more “A” size, 8.5 x 11 vellum sheets. It would go through the complete checking and sign off process. Then be released to document control that would print it and attach it to the blue print or Microfiche of the affected part. This was incredibly fast as compared to checking out and revising the drawing. 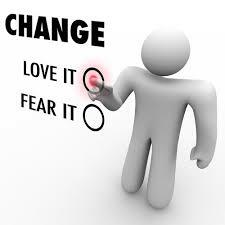 The changes were expedited out to the effected parties in days. The supplier would receive the ADCN and attach it to the print. They would instantly implement the change. When there were slow periods in the group they would assign a new draftsman to incorporate the ADCNs. It was great experience. This was called the DCN (Drawing Change Notice) and done on the original drawing that would be checked out of the vault. This would create a new revision letter. 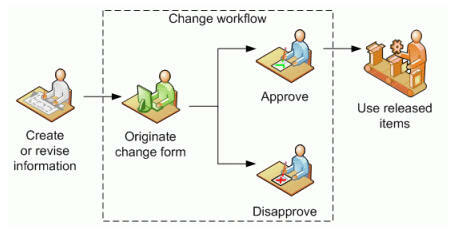 Now many times new design requirements would demand the direct changes to the drawing. It was a bit of a pain to do this because you would be responsible to incorporate the outstanding ADCNs. It was very smooth operation. MBE came into being at Boeing at the turn of the century with the introduction of Catia 5. This is where the 3D model becomes the design authority. We have been using the 3D model as a pattern since the late 1980’s with the introduction of CNC. First, we supplied a 3D wireframe for 2.5 axis milling, then 3 Axis with the introduction of surfacing and then, of course, solid models. Using the solid model as the design authority has huge problems. Imagine the above scenario with the 3D model. The new 3D CAD engineer gets the rejection tag. Boeing eliminated the drafting group years ago, allowing the draftsman to disappear by attrition. You do not get an engineering job at Boeing without a BSME! Now, of course, since we have no drawings!!! WHAT? NO DRAWINGS? Yes, Boeing moved to MBE which has eliminated the drawing even as a supporting document. I am sure the PLM (Product Lifecycle Management) folks quickly found that trying to keep track of two synchronized files, the 3D model and drawing daunting. Actually these were not drawings, they were AIDs (Associated Information Documents) based on the 3D Model. So, they decided to eliminate the AID all together and replace it with what? Sadly, all PLM geniuses and Infotech gurus think all CAD systems are the same and they must design a PLM system around the CAD system. OMG, that is insanity! Actually, on further thought, the MBE concept was released prior to the introduction of the PDF. I am sure it was to alleviate the need for paper drawing prints that were being delivered with the 3D model. If the PDF would have been available at the time it would have, like today, offered a complete digital solution. Let me introduce the PMI (Product Manufacturing Information). WOW! NO DRAWINGS = NO DRAFTSMEN!! WOW! NO DRAWINGS = NO DOCUMENT CONTROL. The engineers can do it all! In this MBE world, I have no idea in what form the liaison engineer gets the rejection tag to the responsible group. He can’t pull out a drawing to review. Doe he have to have access to a seat of Catia 5 or Enovia? Hmmm, I just don’t know. But it can't be easy. How does he communicate the error? Does he modify the parts directly? How does in mark up the changes with a PMI? I did ask a Boeing representative this question at a seminar. He said “Yes that is a problem we have to work on”. Okay, the rejection tag is now delivered to the responsible group. Now the new 3D CAD engineer must research the problem. Hmmm, again no drawings. I suppose the engineer just brings up the native assemblies and works through all the 3D models and PMI's. Easy to view prints? Nope!! He has to view the native CAD file. Hmm How do you compare 3D models as PMIs? Time consuming beyond compare? The engineer finally comes up with a solution and starts changing the 3D model. Boeing uses the overly complex history only Catia 5 system. Now, the engineer must review how the model was create. We all know the problems an engineer faces with a history based only system even if he is the original designer away from the 3D model for a month. But the problem with working with a history based only Catia 5 at Boeing is the constant turnover of engineers. Now, we all know it is a mixture of intelligence and experience that makes the CAD user. Some CAD users are more equal that others! Here is an article that shows the heavy costs associated by depending on the CAD system to manage your engineering. The Worst to Best 3D CAD Systems Expanded! The engineer makes the changes. Now, we hope there has not been some overlooked missed feature. Hmm, do they have to do a comparison of the original and the new 3D model? How do they document the changes? So instead of a fast ADCN, we now must directly change the 3D model. There is no drawing to mark up. In the past, we could trust the supplier to modify the drawing but the model is now sacrosanct? How ridiculous is that? Oh, I forgot, the only way you could change the model is with the native software. Oops!! I have worked with many Boeing suppliers that used IronCAD or ZW3D and would modify the 3D models for CNC programming. Does Boeing know this? Boeing now demands that the supplier runs the native Catia 5 file through a 3rd party validation program to assure that the 3D model is the same as it goes into the CNC program. This process creates an 8.5 x 11 report that has to be kept as a record. Funny, no Boeing audit has ever been done. Yet, they demand that the supplier spend around $5,000.00 for the privilege of creating parts for Boeing. Band-Aids for Self Inflicted Wounds! Why do they do this? There is a high possiblity the parts may be corrupt and only Catia 5 can read the part. Catia 5 can create some very corrupt parts, that are only discovered by importing it into another system. We truly need a universal part standard. Standardization!!! The Future of 3D CAD!! Now add the requirement to read the PMI?? PMI? how do we read the PMI? A seat of Catia 5 with the same release as the PMI, Enovia, Dassault’s expensive viewer, a third-party viewer, costly and you have to keep up to date with the latest Catia version. What if you have different customer using different software, like NX, Creo or Solidworks? We can only hope that they all release their new versions at the same time. OMG! What am I, some kind of comedian? An example of a PMI. This is an actual release Catia 5 PMI imported into ZW3D. So, the idea of the PMI was that data management would only have to maintain one document. WOW, JUST LIKE THE DRAWING!! Oops… The PMI format is so obscure and inadequate that Boeing has 2 or more other documents that must travel with it. Sadly, these important other documents are referenced on the PMI, but usually not available to the outside supplier. From an almost instant document, the ADCN, to a convoluted change that probably takes weeks, maybe months. Then send it to the supplier that has to reprogram the 3D model. What has Boeing saved?? I have never seen any PMI for inseparable assemblies like weldments, sheet metal with fasteners, riveted or bonded assemblies. Do they even exist? The model based enterprise with crumble on itself as the 3D CAD systems disappear. Nothing last forever. There may be a much more productive system show up. Why in the world would we tie our engineering department to a CAD system. Don't ask the CAD vendor. They are not experts in how your company should be run! Their interests are in keeping you in the dark. Sadly, most CEO do not have the experience to challenge them. It all has to do with knowledgable questions. on the native CAD system! Just think this through for once. The AID (drawing) or PMI is not for the engineer! It is for a multitude of other departments to use, such as manufacturing, purchasing, tech pubs, sales, marketing, product planning and yes engineering itself. Wait a minute, Joe, engineering has access to the original CAD files. Yes, but you want to access the "released" engineering documentation? It should be in a much easier accessible, usable and stable format. Hopefully a drawing and a model. We do not need access to the 3D assemblies. We just need a complete presentation how the parts go together. Any access to the native assembly should only be for change. Could we implement something like the ADCN today? Of course, we could, we just use the 3D Model and AID (drawing) as the authority again. Using the 3D model, as we did in the beginning of the entry of the 3D model, as a basis for our documentation and a duplication check on the correctness. An AID (drawing) releases as a PDF and the 3D model are nothing more than an inspection device. Engineering doesn't care how manufacturing makes the part as long as it meets the specs defined in the documentation. This is why it is so important to create unambiguous documentation. Engineering’s only purpose is the delivery of concise, complete and unambiguous documentation to manufacturing. As we try and short cut engineering we open the door to Mr. Murphy to raise havoc. The AID (drawing), now nothing more than an associated information document generate from the 3D model, is very, very easy to create. But it offers much, much more than the 3D model. It gives the designer a second check on the 3D model for errors or a better design. I have 50 years’ experience and every time I do the AID (drawing) I find an error. What chance does a newbie engineer have? Since it is delivered as a PDF, it allows a quick understanding of the part or assembly at a glance without the need of a computer. The AID (drawing) and 3D model have to be in sync, which gives another check for correctness. Yes the 3D CAD or millennial engineer may have to take a drafting class or two. I feel since they are going to replace the draftsman they should have 3D CAD and drafting as part of their engineering curriculum. Should the Millennial Engineer Learn Drafting? I figure the large engineering companies will start waking up and reevaluate this convoluted PLM/MBE system. I just hope all the old draftsmen are not gone by that time. Again, You cannot short cut engineering. That is the problem with those that have not done any engineering and have not been involved in the release of complete engineering documentation. They do not know the ramifications. 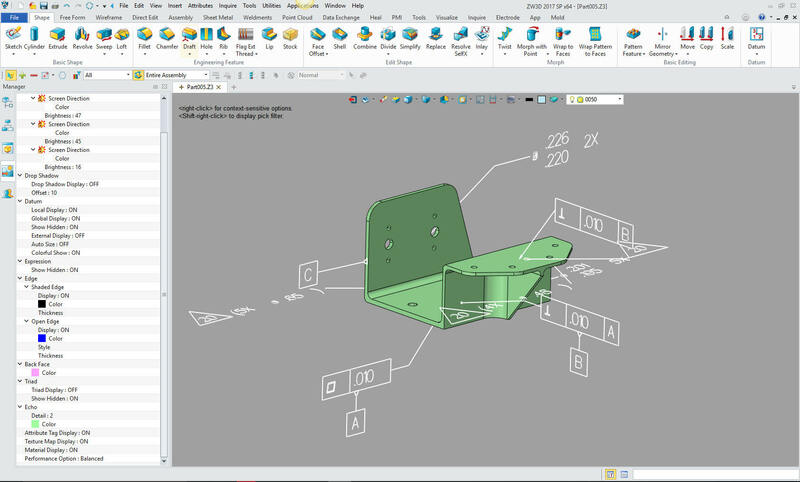 I believe 3D CAD is less cost effective than using the drawings in the past using the PLM/MBE system. There has been too much dependence on the 3D model, which really is nothing more than a pattern, yes, yes, I know a very useful pattern. But engineering documentation is much more than some feature control frames in a 3D space. Boeing started out on the wrong 3D CAD foot in the late 1980's. Today, there is not enough applicable knowledge to pull them out of this huge costly hole they have dug with the help of Dassault's PLM and Boeing Computer Services. Again I will reference these two articles to prove my point! With 50 years of experience in engineering, 17 years in manual board design as a contract engineer, 33 years in 3D CAD sales, support, training and providing engineering services, we have a high level of understanding of today's 3D CAD engineering world. For many it is in chaos. If you are having problems or just interested in this subject please feel free to call and we can discuss them. There are so many simpler solutions available that will save you time and money.